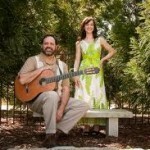 Richmond Virginia’s Quartra Na Bossa has just released their superb second recording “Bossa Nossa”. 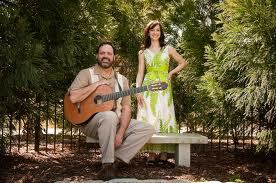 Kevin Harding and Laura Ann Singh formed Quatro na Bossa in 2003. Drawing initially from early Brazilian bossa nova composers and performers, Quatro na Bossa’s repertoire has expanded to include familiar classics, rare or forgotten pieces, and some original material. In addition to private functions and clubs, Quatro has performed at several music festivals around the country, and has been a guest artist at several universities. Quatro na Bossa comprises vocalist Laura Ann Singh, guitarist Kevin Harding, and Rusty Farmer on bass. In 2011, Andy Brockman joined QNB on drums and percussion. Laura Ann has studied with sambista Fabiana Cozza in Sao Paulo and with Oscar Castro-Neves. Kevin, who teaches at the University of Richmond and the College of William and Mary, has studied with Brazilian guitarists Romero Lubambo and Toninho Horta, and in Rio de Janeiro with choro guitarist Bilinho Teixeira. Quatro has performed with many drummers and percussionists including Robert Jospe, Rogerio Boccato, Adriano Santos and Jorge Alabe. The group has played many engagements at Dizzy’s Club Coca Cola at Jazz at Lincoln Center with guests Nilson Matta, Maucha Adnet, Romero Lubambo, and Harry Allen. Also in New York, they recorded the album Summer Samba for the Japanese jazz label Venus Records with Adriano Santos and Rodrigo Ursaia. In the fall of 2012, Quatro will participate in a concert series paying homage to the influence of bossa nova. Composer and performer Carlos Lyra will share the stage with QNB as they perform at the Berklee Performing Arts Center in Boston, the Olympia Theatre at the Gusman Center in Miami, and the Frederick P. Rose Hall at Lincoln Center and the Merkin Hall in New York. Quatro na Bossa’s arrangements and unique style aim for authenticity while showcasing the power of Brazilian music to traverse culture and language.